Your home lighting can be designed to complement your needs. As your needs change throughout the day, your lighting can adapt as well; bright to read a book, but dim for computer use. Whether you are at home or at work, AV Excellence can provide convenient access to light control, creating a comfortable atmosphere for your activities throughout the day. Lighting control systems, allow users the ability to remotely power to individual or groups of lights and devices, operate dimmers, & program space lighting levels. Today, energy efficiency is a crucial element in every home & business. LED (Light-Emitting Diode) generate little heat & less energy than traditional bulbs, & are environmentally friendly—containing no mercury or lead . They also last significantly longer (up to 17 years) than traditional incandescent light fixtures. 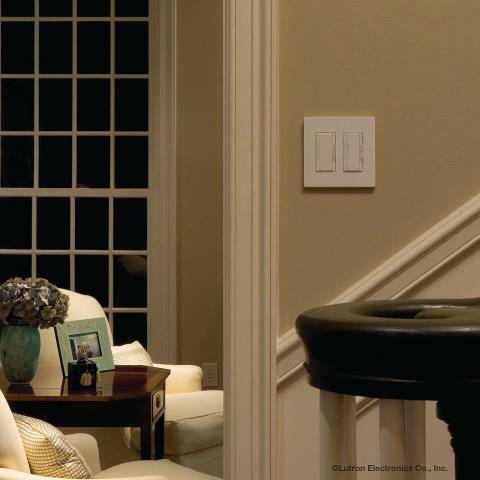 With switches, you have two choices: on & off, dimmers provide the in-between. Dimming a light 25% equates to 20% savings in energy & typically increases bulb life. Convenient, secure & energy efficient. Personalized light control system can recall your favorite settings & conveniently transform the light in that particular area. Control your home’s lighting from a master keypad or remote to change your environment with the touch of a button. For rooms with full sunlight, you can integrate a Shading Solution with electric lighting for complete light control. Shades can be preset for different room uses or adjusted for changes in time of day or season.